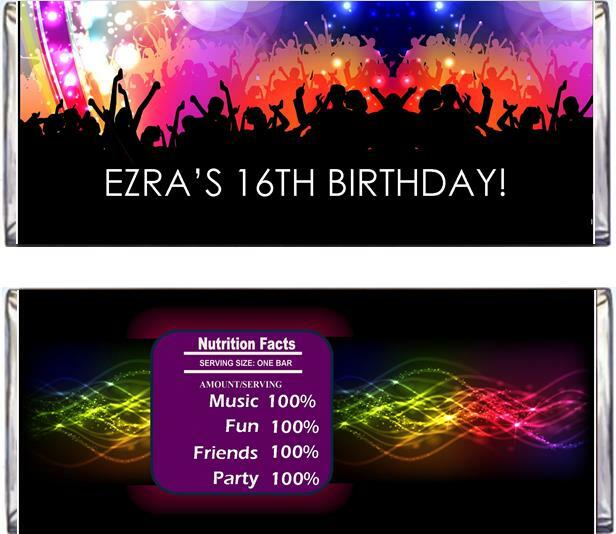 BEST GLOW PARTY IDEAS AND NEON PARTY GAMES TO ROCK YOUR TEEN PARTY! 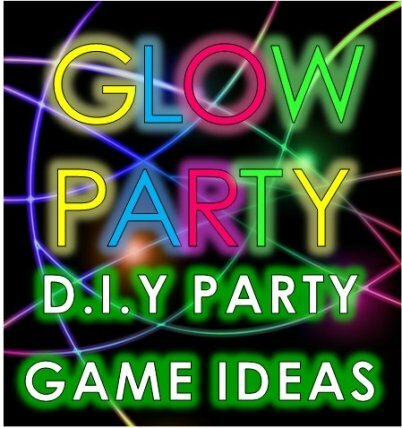 Need Glow Party Ideas? 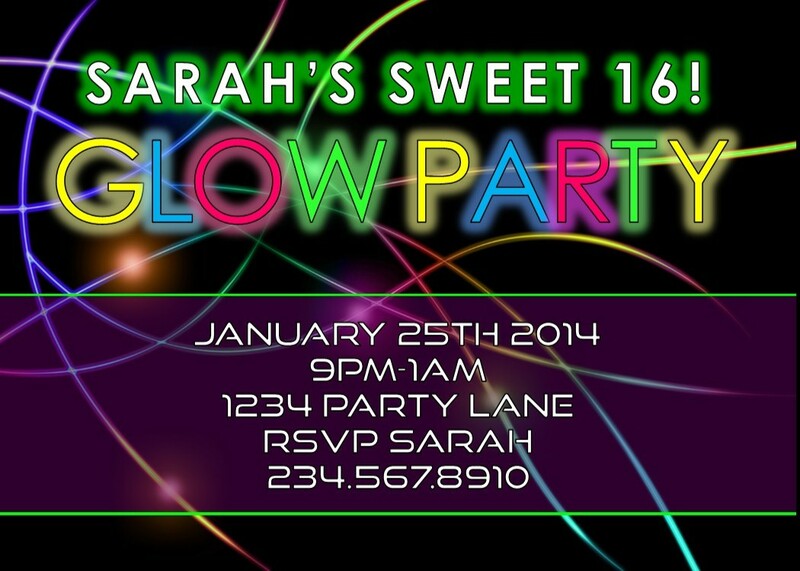 A glow party, also known as a neon or glow in the dark party, is a very popular teen party theme. 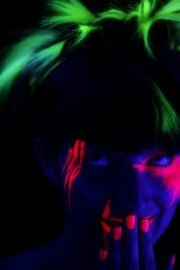 Use black lights to make everything glow in the dark. 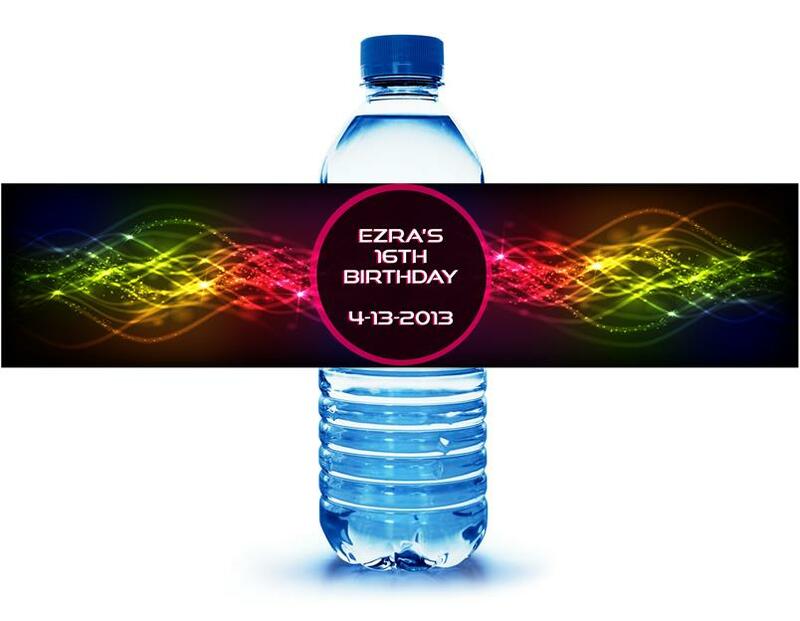 Ask your friends to wear plain black or white t-shirts (best for neon glow fun). 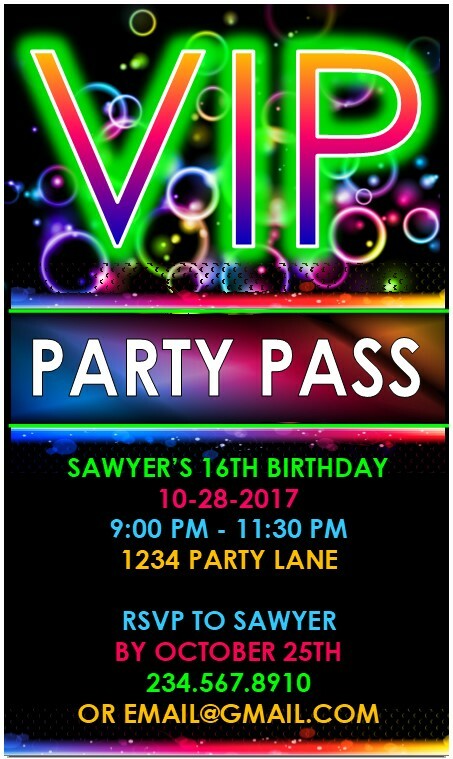 Have tons of techno music to play and include some of fun glow in the dark neon party activities from below to rock this birthday theme. 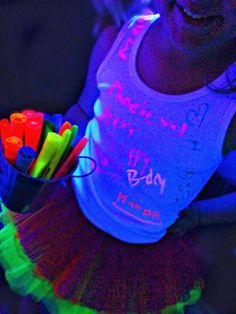 Check Out These Glow in the Dark Party Ideas!! 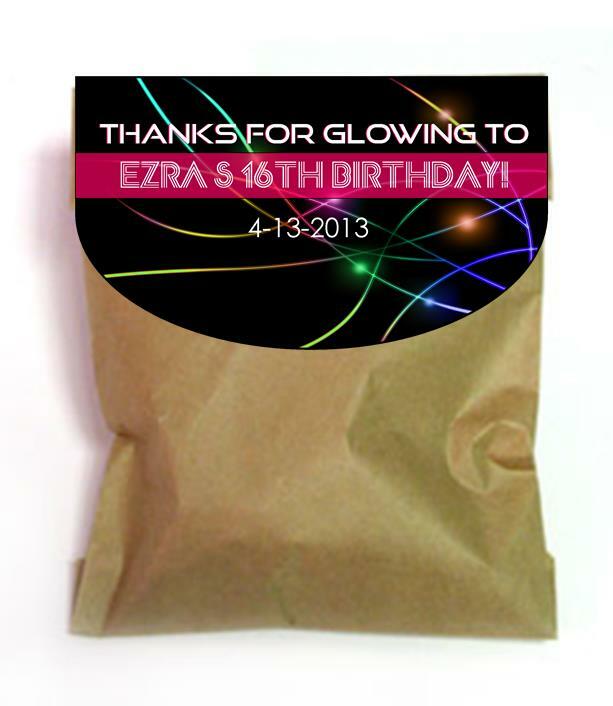 These editable VIP Glow party invitations are available for INSTANT DOWNLOAD! Within minutes you can download these invitations, open in adobe reader, and replace all the default details with your own event details. Then simply print! Invitations print three per page. 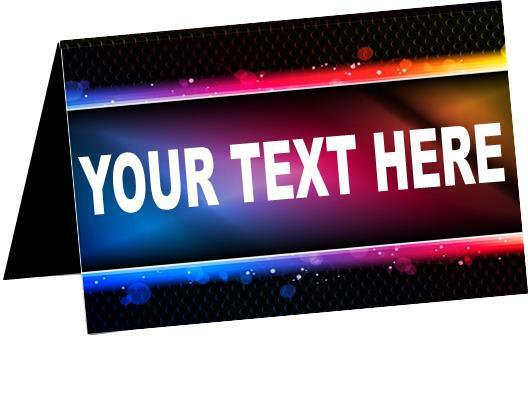 Printing on card stock will create the most professional looking product, but they can be printed on any paper. 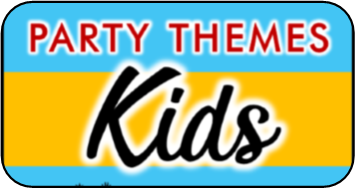 Provide plenty of highlighters (yellow,orange, green and pink glow best) so that you your friends can have fun drawing all over each others shirts. Have Everyone sign a special shirt for the guest of honor. 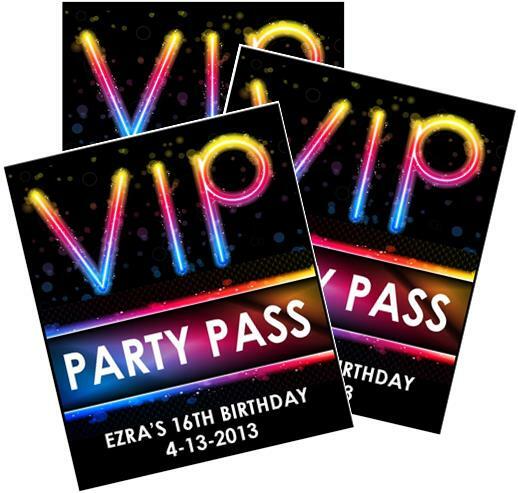 These double as fun party favors. Line your walls with black paper and provide put out some bowls of liquid Tide and paint brushes. Laundry detergent with whiteners really glow, just make sure whatever you put it can’t be confused in any way with drinking cups, you don’t want any of your guest to accidentally drink it. 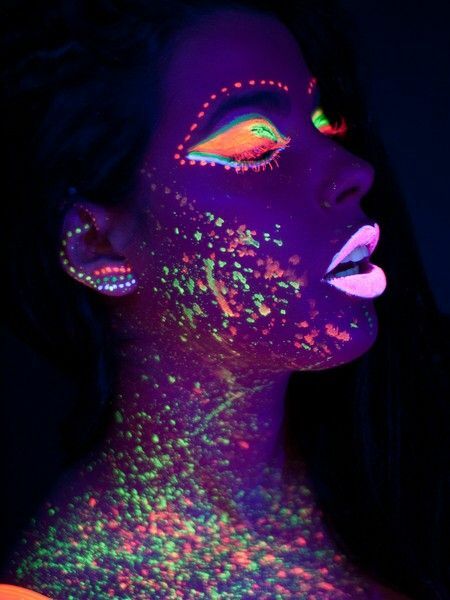 Get some neon or glow in the dark face paint and let your friends go wild with it. You can use it like regular make up or get creative and paint your face like a butterfly, or polka dotted, or maybe even a polka-dotted butterfly! You'll want some awesome music for all the black light dancing. Get some friends together before hand and spend some time picking out a playlist of techno and dance music. If you have the cash consider hiring a DJ. Connect a couple of neon glow in the dark necklaces together to form a hoop. Have friends try and toss glow bracelets or glow in the dark bouncy balls through it. Set up hoop challenges, or sit in a circle and have the guest of honor sit in the middle and have everyone try and ring him or her. Fill glow in the dark balloons with fun truth or dares before inflating them. While everyone is dancing have one being bopped around. 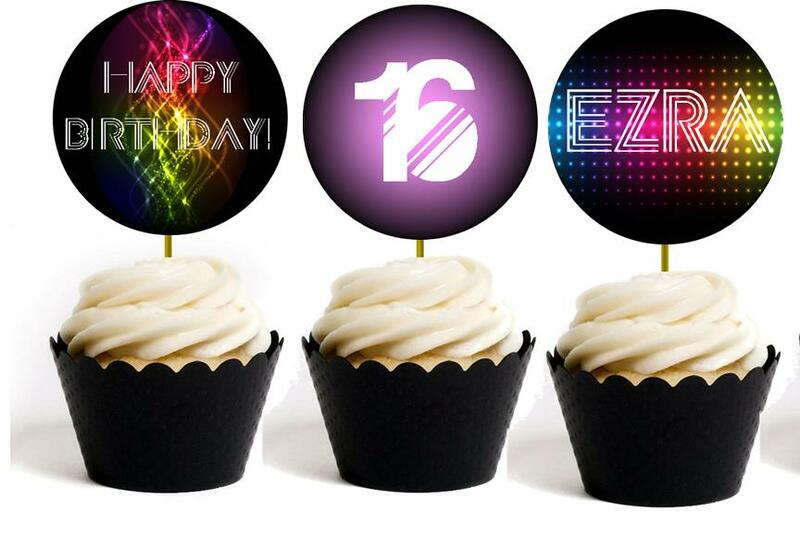 When the music stops whoever last touched the balloon must pop it and complete the dare inside. Afterward start the music again and throw another balloon into the group. 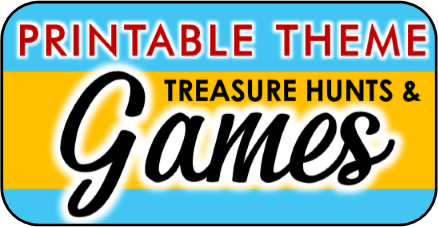 Check out my Truth or Dare Questions for cool dare ideas. Have a break dancing contest under the blacklight. 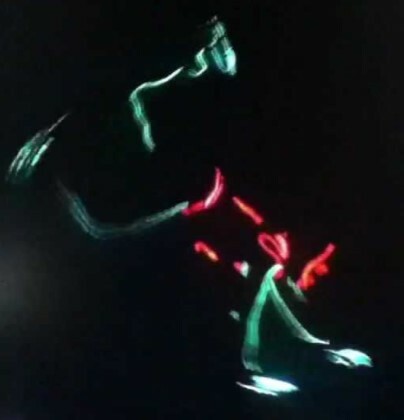 Nothing is cooler than watching the neon colors fly while someone is break dancing. 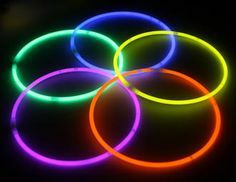 Use glow necklaces to create “net”. Just attach them together as one long rope and attach each end to opposite sides of the room. Use a glow in the dark balloon for the volleyball and divide up the teams. Have everyone take off their shoes and lay on their side of the “net”. You can’t touch the balloon with your hands unless serving. Kick it back and forth with feet. Score just like in regular volleyball. Have all the girl put on glow in the dark lipstick and kiss a poster. See how many people can guess whose print belongs to who. Or have each girl leave a neon kiss print on the cheek of the guy they think is the hottie of the party. Most different kiss marks wins him King Neon. Not all glow in the dark lipsticks are created equally. I found some hot pink glow lipstick on Amazon that has some great reviews - check it out here! This one is pretty self explanatory. The game of hide and go seek gets a new fun twist. It can use a flashlight to hunt down all the hiders! 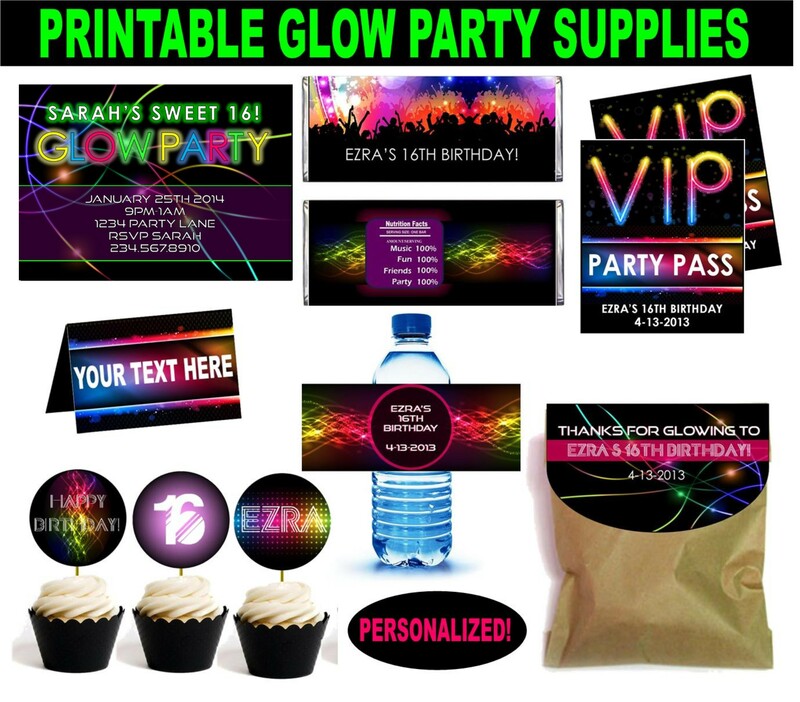 I created these Glow party printables to make hosting your glow / neon party even easier. Everything comes personalized in a ready-to-print PDF. All text can be altered to fit your desires.